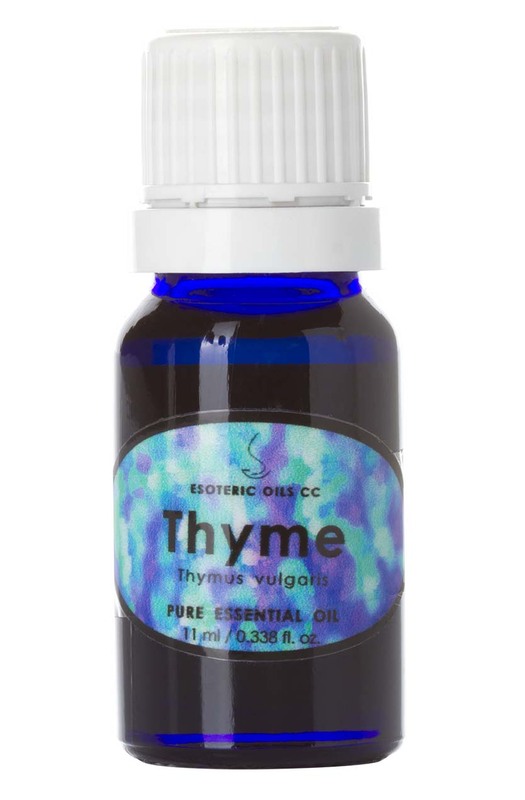 Our thyme oil is extracted from Thymus vulgaris (also known as Thymus aestivus, T. ilerdensis and T. velantianus) of the Labiatae family and is also known as common or red thyme. This essential oil can cause skin irritation, yet has great value to help with concentration and to focus, as well as being an excellent bronchial and lung stimulant, making it valuable in bronchitis, coughs, colds, asthma and the like, while the warming qualities are great for rheumatism, sciatica, arthritis and gout. Diluted as a mouthwash or as a gargle, thyme oil can help with gum infections and tonsillitis. Apply directly, or used neat, thyme oil could help with animal bites and boils but use with care, because of the possible of the risk of skin irritation.